As part of a new legislative proposal, motorcyclists in Washington State may soon be legally allowed to pass in-between vehicles that get stuck in traffic jams, also known as lane-splitting. The bill was discussed and introduced at a legislative hearing in Olympia on Tuesday, and is sponsored by Senator Tim Sheldon. If passed into law, the bill would make Washington the second state in the country to legally permit the practice of lane-splitting. Currently, California is the only state in the U.S. that does not explicitly prohibit motorcyclists from lane-splitting. There, the law requires that motorcyclists who choose to split lanes, 1. Do not travel more than 10 mph faster than the traffic they are passing, and 2. To refrain from lane-splitting when traffic is flowing at 30 mph or greater. The proposal for Washington State would allow motorcyclists to ride along the stripes in-between lanes in situations where traffic is moving at less than 25 mph and would impose a similar 10 mph limit on the difference in speed. Therefore, motorcyclists would be prohibited from traveling in excess of 35 mph when lane-splitting. The bill also addresses skepticism from safety advocates who expressed concerns that the practice would lead to more motorcycle accidents. According to news reports, the proposal would make it an infraction for any motorist to intentionally impede a motorcyclist who is attempting to pass via lane-splitting. 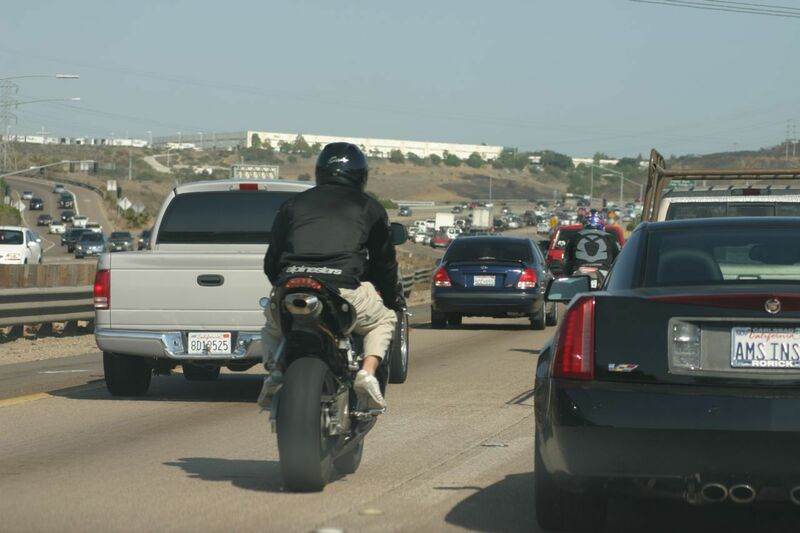 Lane-splitting is viewed by many as a dangerous practice that increases the chances of a collision between motorcyclists and the vehicles they are passing. However, a study conducted and published by researchers at UC Berkeley showed that the practice is quite safe as long as motorcyclists aren’t traveling more than 10 mph faster than the rest of traffic. According to the study, lane-splitters who ride more than 10 mph faster than traffic are at greater risk of being involved in an accident. The study also concluded that lane-splitting motorcyclists were more likely to rear-end another vehicle, rather than the other way around as was originally expected. The Washington State Patrol, however, has raised concerns about the proposal and is worried that the law would lead to an increase in collisions. And since collisions result in lane closures, they’re worried the law could actually make traffic issues worse.